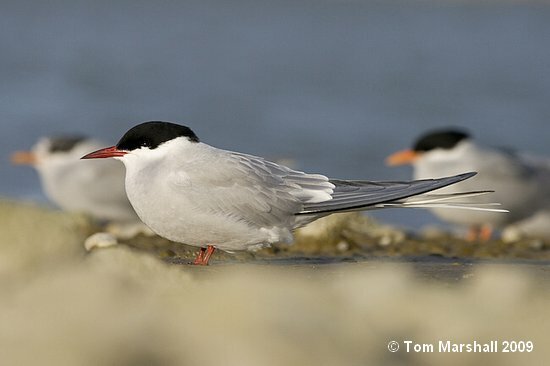 Whilst at the Ashley River mouth on 16 May 2009, Tom Marshall observed an unusual tern with around 65 Black-fronted terns at the estuary roost, it was of similar size but with a blood-red bill and feet, and of paler plumage. The beautiful shot below, taken at the time by Tom clearly shows the bird to be an adult breeding plumage Arctic tern – cracking shot and a lovely little bird! Well done Tom! The above photograph is copyrighted. If you would like to use it, then please contact me first.